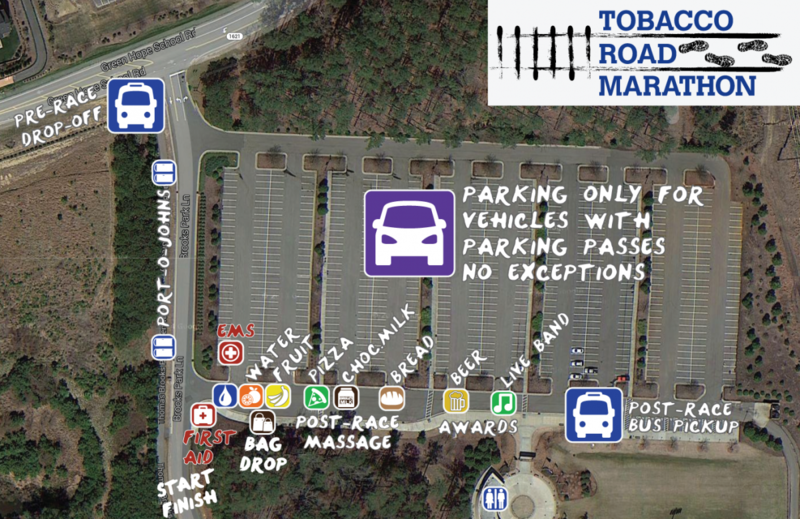 Cary, NC (January 23, 2018) – The Tobacco Road Marathon is pleased to announce the addition of a rucking division for this year’s half-marathon that is open to all who wish to walk or run the course with a weighted rucksack. The addition of the rucking division to the March 18th race in Cary, NC, is the result of a partnership with The Ruckership Network and is in keeping with the Tobacco Road Marathon’s historic focus as a community-based, volunteer-led race. Rucking, or walking with a weighted backpack, is familiar to many people with a background in military service, as it’s a key component of training for infantry soldiers who must transport heavy loads of gear across carried terrain by foot. The activity has crossed over into the civilian population in recent years and has become a popular form of low-impact training that builds cardiovascular fitness and strength. Participants ruck socially, as part of service projects or train for events like those offered by GORUCK through its series of endurance challenges – drawing together people interested in fitness, service and support for the military formed the Ruckership Network in 2017 to serve and expand the rucking community. For participants who want to ruck with a certified weight (30 pounds for men over 150 pounds, 20 for those under that standard; 20 pounds for women over 150 pounds, 10 pounds for those under) a team will be on hand at the start are to weigh and certify rucks before the start of the event. In addition to the half-marathon finisher’s medal, ruckers crossing the finish line will also receive a traditional 2×3-inch morale patch to mark their achievement. Ruck division participants are free to move at whatever pace they like during the event (“ruck running” isn’t particularly recommended, but some people do it.) A popular target pace is 15:00 per mile, which is a fast walk for many. To learn more about rucking and for help connecting to a ruck training group in the Triangle area, please contact one of the following groups: F3 Nation (men only): ruck@f3nation.com; Females in Action (women only): fianationrucks@gmail.com; Team Red, White, and Blue (co-ed): raleigh@teamrwb.org.